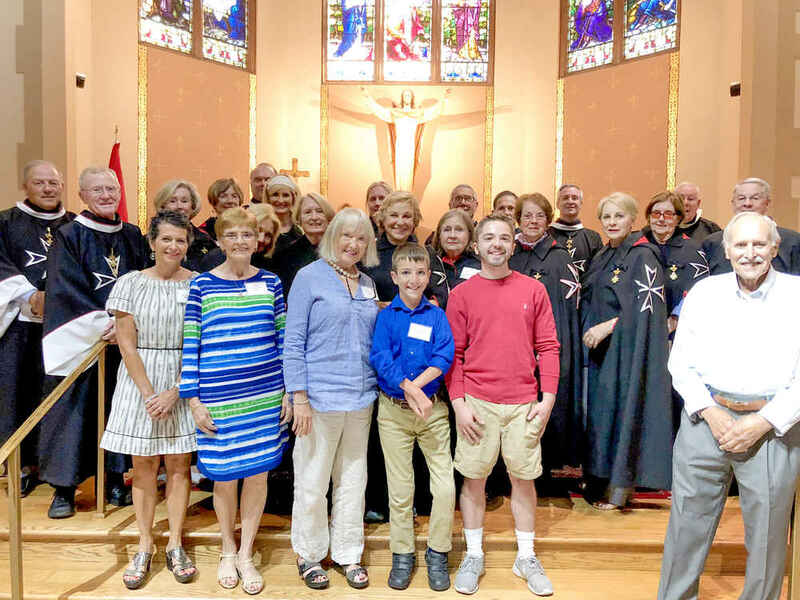 We had a wonderful time last month when Federal Association President Margaret Melady and Executive Deacon Director Michael Stankewicz visited and toured our service projects in the Syracuse Region. This visit is part of a larger plan for our President and Executive Director to visit the various service projects of our regions. Hospitallers Jim and Sharon Cirincione met Michael and Margaret at the airport on July 18, took them to a small luncheon, and then to the lakeside home of Noreen and Michael Falcone for an evening with members in the region. Our chaplain, the Rev. Charles Vavonese, celebrated Mass, which was followed by a delicious sit-down dinner. The next day, Hospitaller Jim Cirincione led a tour of all our service areas, including the Poverello medical clinic, the food pantry, the inner-city Franciscan church where we serve a pancake breakfast to the poor once a month, and the Malta house nursing home where we put on monthly birthday parties and thanksgiving dinner. Also on the itinerary was our newest place of service, the former St. Johns the Evangelist Church, which is now the Samaritan Center, providing breakfast and dinner daily to more than 200 homeless and working poor. Meeting the director and architect of the center enhanced the visit. That evening we gathered at St. Mary’s of the Lake Church for our annual Anointing of the Sick Mass and Lourdes reunion dinner. Our July volunteers, Noreen Falcone, Kathy Mezzalingua and Mary Pat Northrup, once again did a wonderful job arranging this. Father Vavonese gave a great homily about the sacrament of the anointing of the sick followed by the priests anointing many of those present. Former malades and their family members look forward to this every year. We were also joined by the families of deceased malades. Two of Pat and Paul Fallon’s 49 grandchildren (yes, the figure is correct) added to the beauty of the Mass with their gifted voices. In the parish center more than 65 people enjoyed a catered dinner and time together. It was a blessed evening for all. The Syracuse members are all very grateful that Margaret Melady and Michael Stankewicz made the time to be with us.